The list of available Live Cases for the Pixels and last year's Nexus phones continues to grow. Today, we see new entries from artist Jeremy Scott go live in the Google Store. Known for his fashion designs, Scott has brought his unique aesthetic to the Live Case lineup. Nine styles are available to choose from. To create the perfect case, you can zoom and rotate the images to your heart's content. 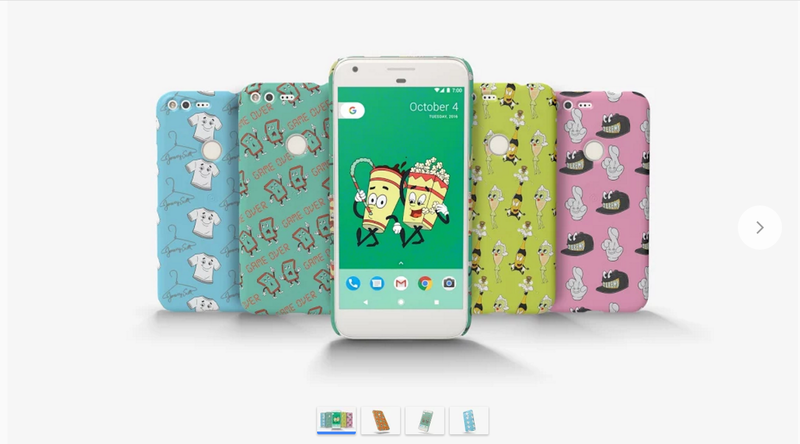 In order to complete the look, Google is including companion live wallpapers and a 24-character GIF keyboard with each case. Like the other Live Cases, these have the programmable shortcut button and cost $40.